Have your client/customer sign a written contract! (even a one-page document can insulate you from payment headaches). Obtain a personal guaranty (if appropriate). If a corporation or other business organization, inquire as to the place of organization and then check the state secretary's records (state databases are available on-line). Is the signatory authorized to sign? Is the "company" really a company? If not, who/what are they? Before signing a document, read it carefully! Don't be afraid to negotiate. Have your lawyer explain any provisions you don't quite understand. Be clear as to when payments are due. Specify the monthly interest rate on unpaid balances. Put your client/customer on notice that they will be responsible for collection costs including reasonable attorneys fees. Require the client/customer to give notice of any dissatisfaction and provide you with an opportunity to remedy any problem. Mediation and Arbitration, as an alternative dispute resolution techniques, has are become very popular. Many contracts contain a mandatory mediation and/or arbitration provisions. Make sure you understand these provisions. Be aware of potential pitfalls: who bears the cost; who chooses the mediator or arbitrator; what happens if there is no response to a request to mediate/arbitrate; what happens should non-binding mediation fail to resolve the controversy. Stipulate that you are not responsible for consequential damages and/or that your liability is limited to the amount received pursuant to the contract. Or, if possible, limit damages to the highest monthly billing. 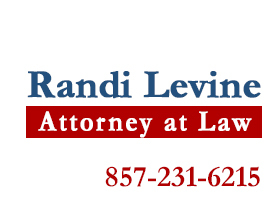 © 2010 - 2019 by Randi Levine Attorney at Law. All rights reserved.